Travel brochure issued circa 1934 by Avio-Linee Italiane. Signed "G. Gorla." 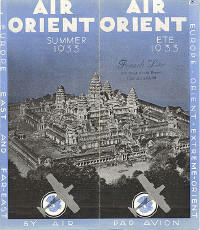 Travel brochure for Air Orient, Summer 1933. Signed Croutzet & Depost, Paris. Travel brochure for Bermuda Air Cruises, 1938. Published by United Air Lines and Imperial Airways. "Przeglad Lotniczy, Organ Lotnictwa Wojskowego, Warszawa, Grudzień 1931. 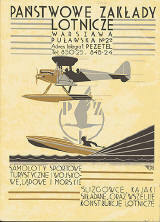 Magazine of the Polish Air Force, December 1931. Signed "M. Nehring '29." Front Cover. Travel brochure for The Scandinavian Air Express, 1930. Operated by KLM (Holland) and ABA (Sweden). Unsigned. 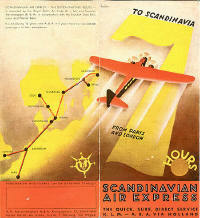 Travel brochure for The Scandanavian Air Express, 1932. Operated by KLM (Holland) and ABA (Sweden). Signed "Beckman." 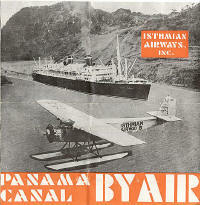 Travel brochure for Isthmian Airways Inc. - Panama Canal by Air, circa 1932. Printed by the Star & herald Company - Panama. "Przeglad Lotniczy, Organ Lotnictwa Wojskowego, Warszawa, Grudzień 1931. 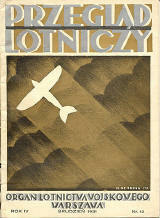 Magazine of the Polish Air Force, December 1931. Signed "M. Nehring '29." Back Cover.